There is something utterly magical about Oxford. It’s simply jam-packed full of history. In fact, if you’re a history buff looking for a pretty city to explore, you could do no worse than an Oxford day trip. The city is probably most famous for being the home of the University of Oxford, the oldest university in the English-speaking world. 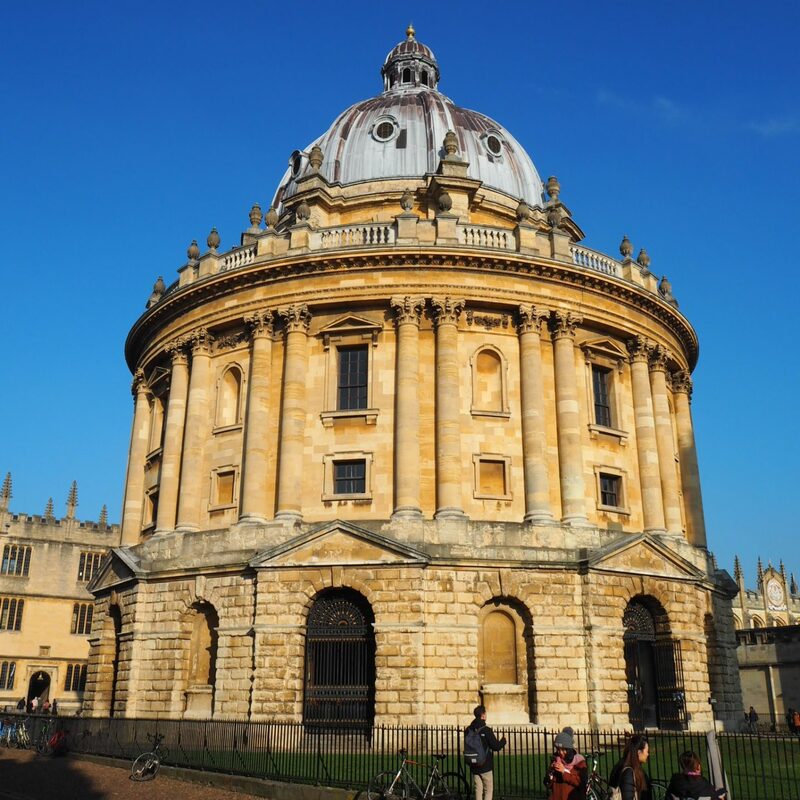 However did you also know that during the English Civil War, Oxford served as the capital of England after Charles I was expelled from London by Oliver Cromwell’s Parliamentarian forces? There’s tons of fascinating hidden facts just like this to be discovered at every turn in Oxford! 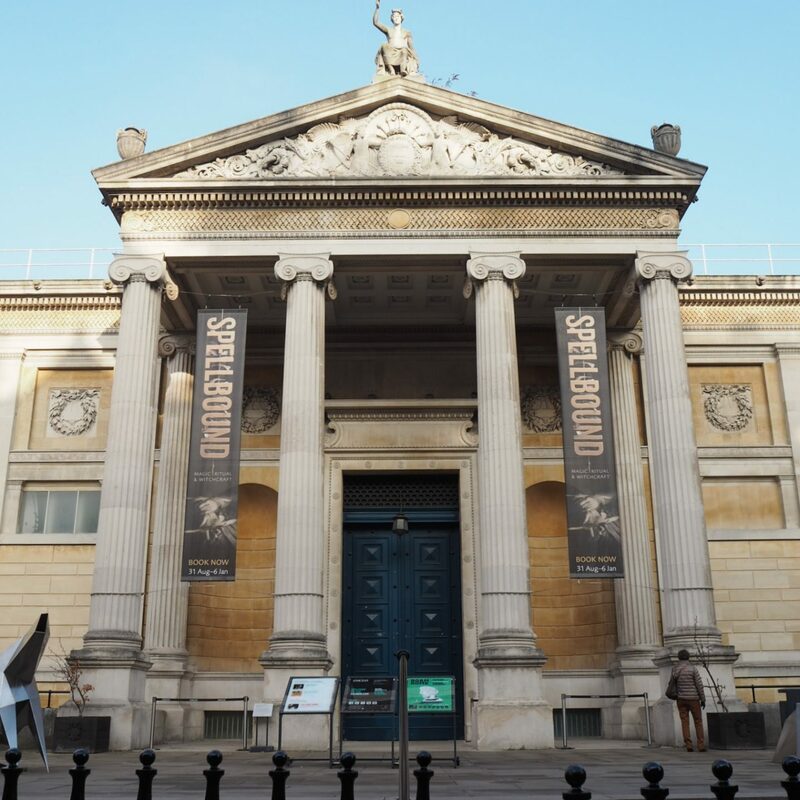 Our first stop on our Oxford day trip was the world’s first ever university museum – The Ashmolean – which opened to the public on the 24th of May 1683. 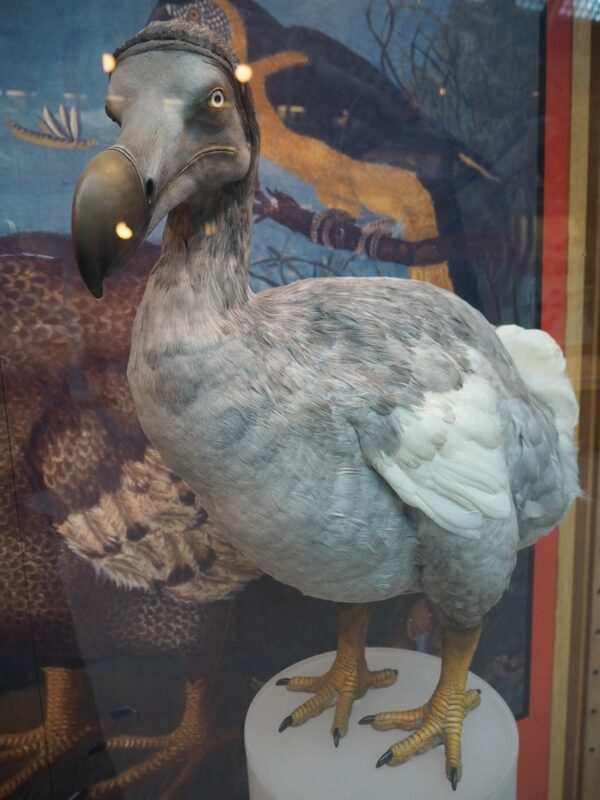 The original collection was compiled by Elias Ashmole (if you’ve read the A Discovery of Witches trilogy you may recognise the name) and included antique coins, books, engravings and zoological specimens – one of which was the stuffed body of the last dodo ever seen in Europe. Today, you can view treasures such as the Messiah Stradavarius, the lantern carried by Guy Fawkes and Oliver Cromwell’s death mask. 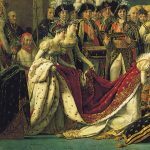 The museum also plays host to some AMAZING exhibitions so be sure to check their events calendar if you do visit. Opening Hours 10am-5pm Tuesday to Sunday. Free Entry. 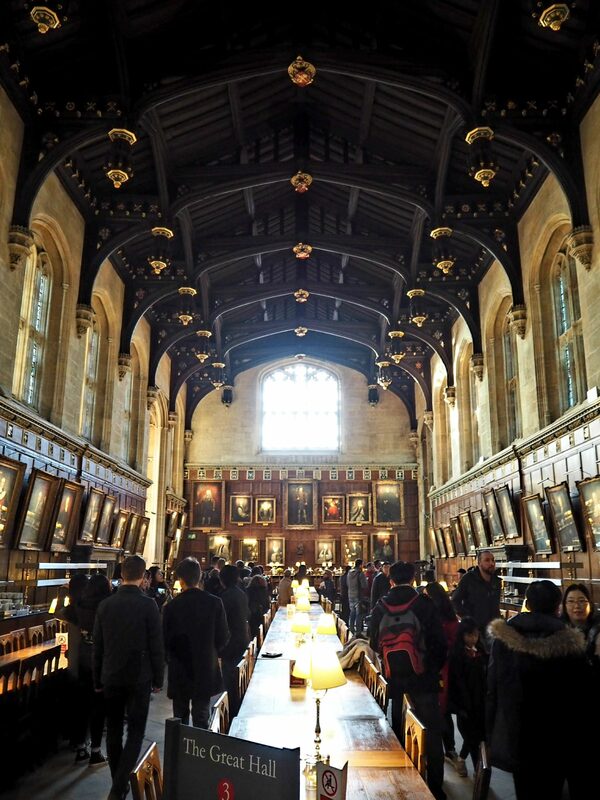 The next stop on our tour was the breathtaking Bodelian Library, the main research library of the University of Oxford and one of the oldest libraries in Europe. The Bodelian is home to innumerable treasures, including Shakespeare’s First Folio and four copies of the Magna Carta. The Bodelian is actually made up of several buildings – including the 15th-century Duke Humfrey’s Library, the 17th-century Schools Quadrangle, and the 18th-century Clarendon Building and Radcliffe Camera (pictured below). Many parts of the library are only accessible by pre-booked tour as so to minimise disruption to students, so I thoroughly recommend pre-booking a tour if you are interested in exploring every nook and cranny of this fascinating building. 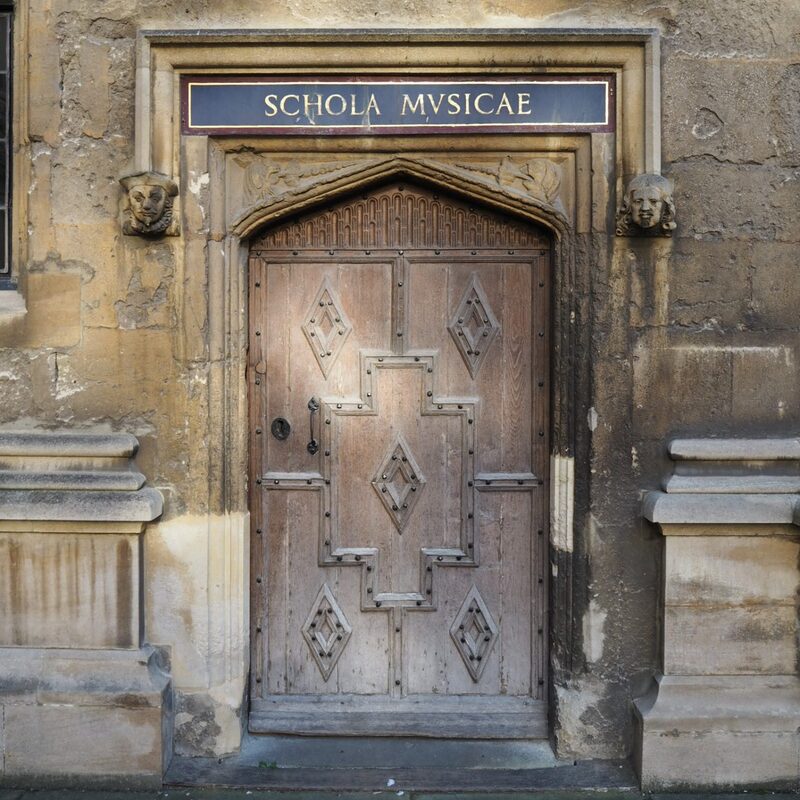 For the sum of £1 you can enter the Divinity School at anytime during opening hours (as long as there’s no private event being held). Built in the 15th Century, it is the oldest surviving purpose-built building for university use, and its Perpendicular architecture (including the 455 bosses) literally stops people in their tracks. 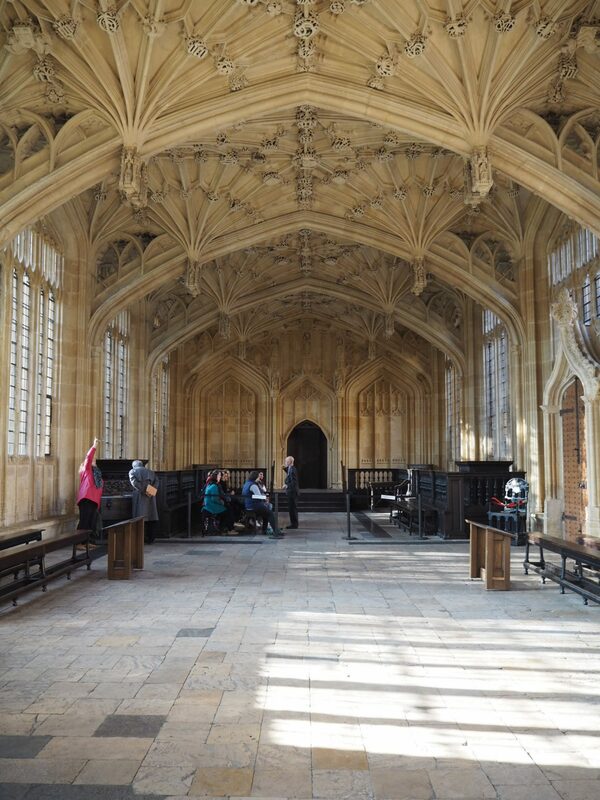 You may recognise the Divinity School as the Hogwarts Infirmary from the Harry Potter films. 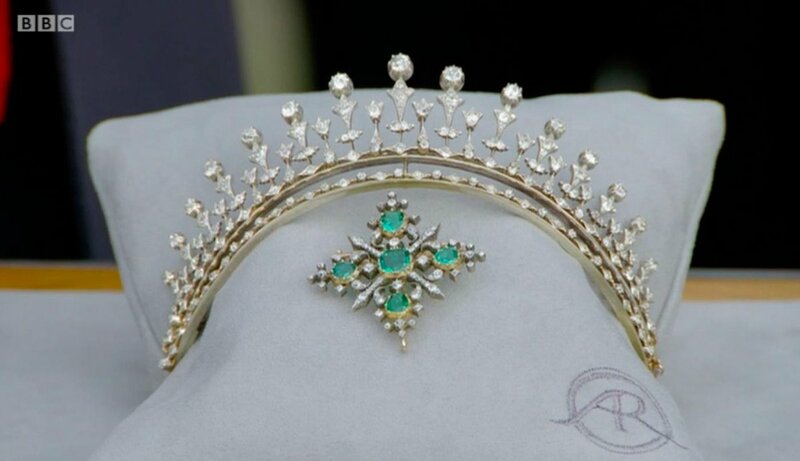 Its also been used in The Golden Compass and X Men: First Class. What you may not know is that in 1644 the Divinity School played host to Parliament when Charles I was in town during the Civil War. Its also where Protestant Archbishop Cranmer and Bishops Latimer and Ridley were tried for heresy by Mary Tudor’s administration, before being burnt at the stake in Broad Street. It truly is a room steeped in history. Opening hours and tour times vary greatly depending on private events etc – best to check the website. At lunch time, we opted for The Turf Tavern, one of the candidates for the oldest pub in the city. We had been forewarned it was a bit of a tourist trap, but decided to take the risk anyway. Why? Simply because it’s a bit of an Oxford institution. The list of famous people who have enjoyed a tipple here seems endless. Elizabeth Taylor, Margaret Thatcher, Stephen Hawking, Oscar Wilde, Thomas Hardy, David Cameron, Emma Watson, Ernest Hemingway, Ben Kingsley, Tony Blair, Richard Burton, C.S.Lewis…oh, and it’s also where former Australian Prime Minister Bob Hawke set a Guinness World Record for consuming a yard glass of ale in 11 seconds in 1963. (P.S. If Turf Tavern is too busy, why not try The Eagle and Child on St Giles Street? It was the local pub for both J.R.R. Tolkien and C.S.Lewis. You may bump into another famous author when you visit – Oxford boasts more published authors per square mile than any other place in the world). Suitably refreshed, the next stop on our Oxford day trip was the Oxford University Museum of Natural History. The neo-Gothic building was constructed in the late 1850s and houses the collective natural history specimens from the University of Oxford. The building itself is a Victorian marvel – it consists of a large square court with a glass roof, supported by cast iron pillars. They have a case containing several Dodo models in the main hall, but behind the scenes the museum also has THE ONLY SOFT TISSUE OF A DODO ANYWHERE IN THE WORLD. There were only two or three Dodo specimens IN THE WORLD that were collected as living animals, but only the Oxford one has any soft tissue on it. (Sorry for all the caps but I think this is mega exciting and am always hopeful that one day this will lead to a Jurassic Park-style revival of the Dodo). 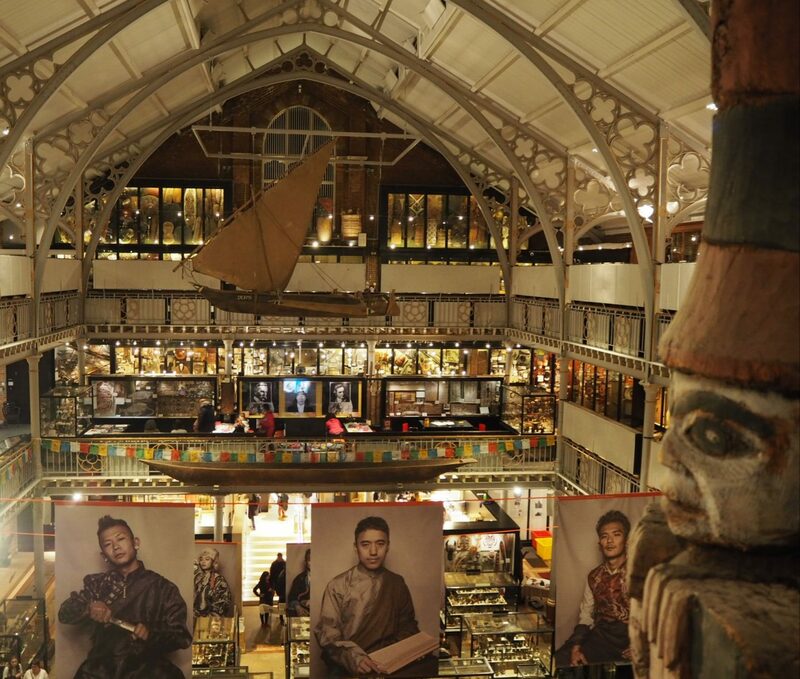 Through the Museum of Natural History you can also access The Pitt Rivers Museum. 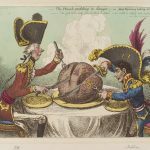 In 19th-century thinking, it was very important to separate objects made by the hand of God (natural history) from objects made by the hand of man (anthropology). Therefore in 1885 a new adjoining building was created to house the university’s archaeological and anthropological collections. 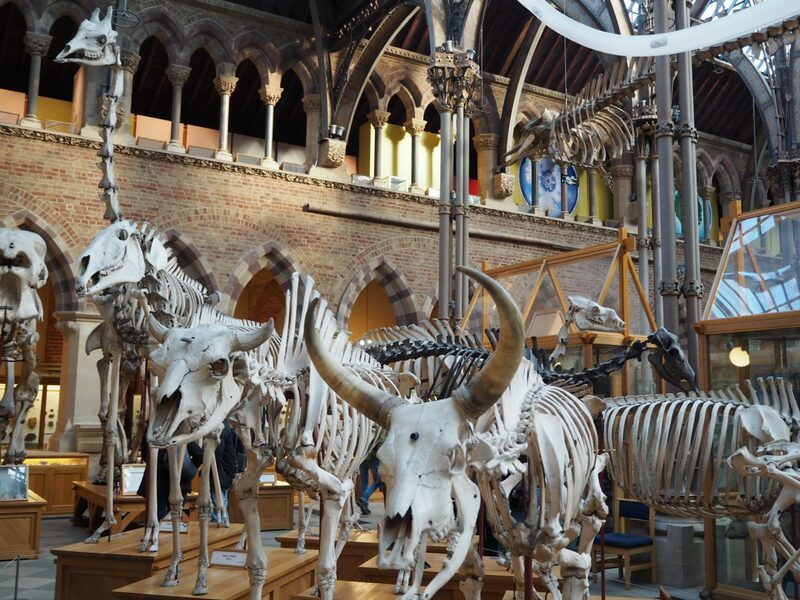 The Oxford University Museum of Natural History is open 10am-5pm daily. Free entry. The Pitt Rivers Museum is open 10am-4.30pm Tuesday to Sunday and midday to 4.30pm on Monday. Free entry. 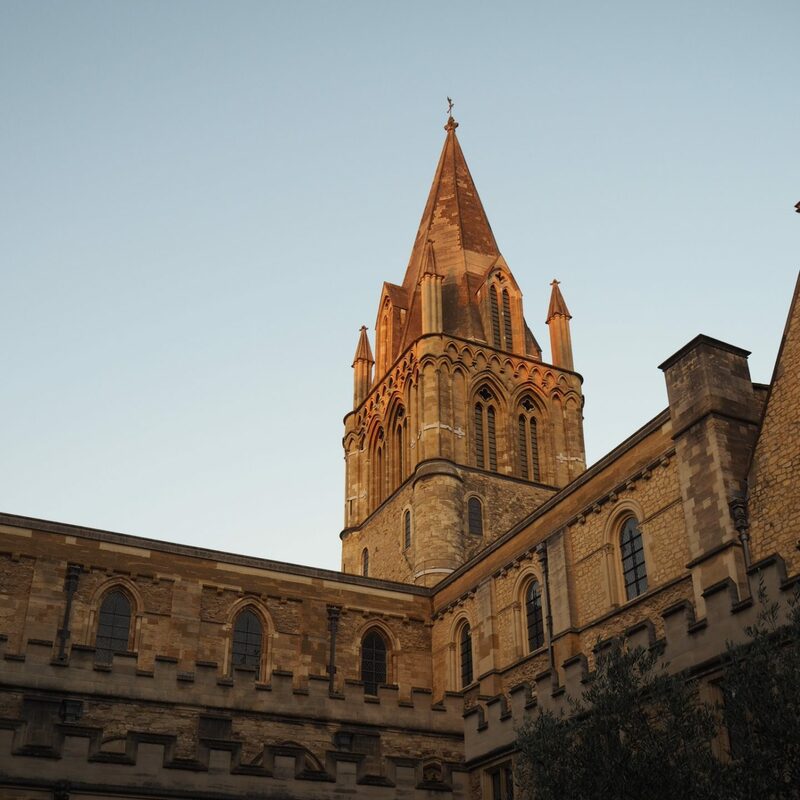 As we only had time to visit one college, we picked ‘the grandest of the Oxford colleges’ according to Jenkins – Christ Church College. Like everywhere else we visited in Oxford, it has a long and illustrious history. It was first founded by Henry VIII’s right-hand man Cardinal Wolsey in 1525, and was first called Cardinal College. Christ Church has many notable alumni including thirteen British prime ministers, King Edward VII, King William II of the Netherlands, writer Lewis Carroll, philosopher John Locke, theologian John Wesley, founder of Pennsylvania William Penn, genius Albert Einstein, art critic John Ruskin and poet Sir Phillip Sidney. Just imagine the reunion party?! Christ Church is another great place to visit if you are a big Harry Potter fan like me. The college’s grand staircase features in both The Philosopher’s Stone and The Chamber of Secrets. Also its cloisters also pop up in The Philosopher’s Stone, and the magnificent Great Hall directly inspired the Great Hall of Hogwarts. I was so preoccupied with Harry Potter that I totally forgot that Christ Church also has a cathedral! 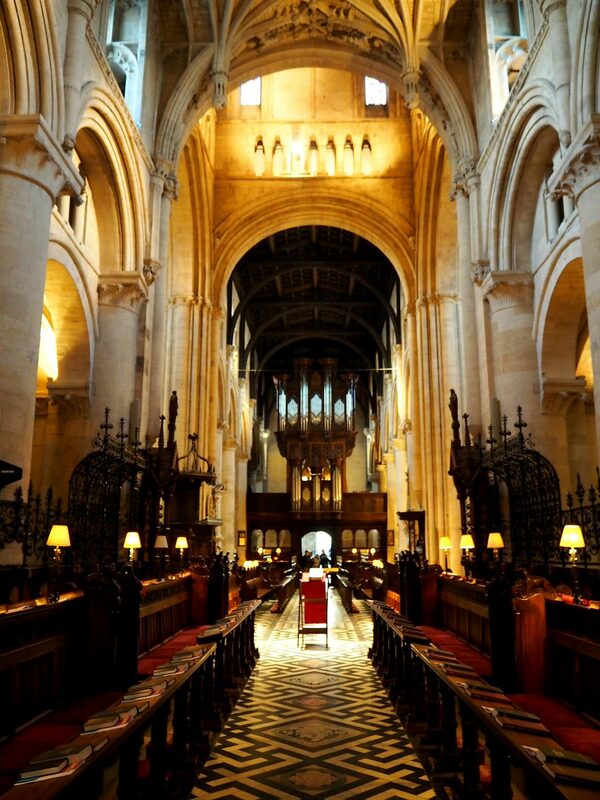 Technically the building is the chapel of Christ Church and also the cathedral for the diocese of Oxford. This dual role as cathedral and college chapel is unique in the Church of England. While not a large cathedral, it is perfectly formed and full of memorials to interesting and notable people. Definitely worth a visit. Christ Church’s standard opening times are 10am-5pm from Monday to Saturday, and 4pm-5pm on a Sunday. However, opening hours do vary greatly and again I would recommend checking the website before you go. Entry is £10, falling to £8 during off peak season. 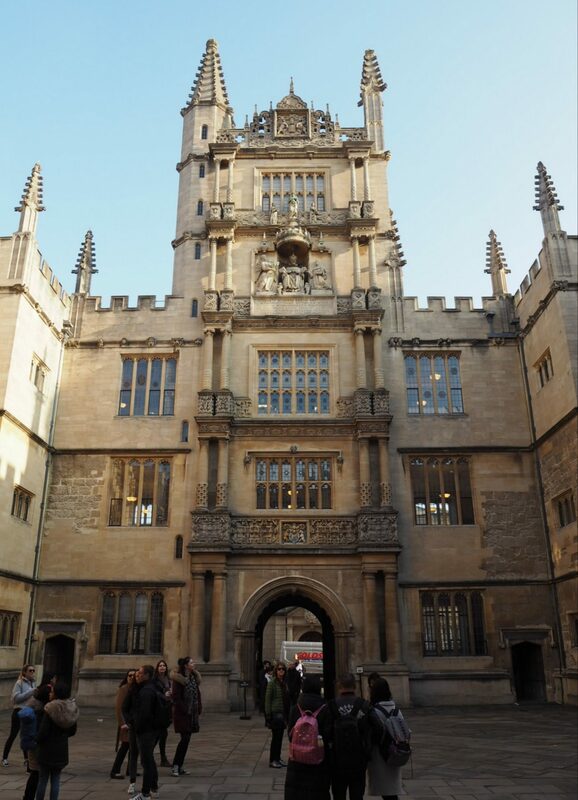 If I had to give you one tip for planning your Oxford day trip, it would be do your research and PREBOOK! We avoided a very lengthy queue at Christ Church College by planning ahead and booking our entry tickets online beforehand. Likewise with the tours at the Bodelian Library. They can sell out fast so research exactly what parts of the library you want to visit and book a relevant tour beforehand. You may thank me later. Have you ever visited Oxford? Where would you recommend to visit? 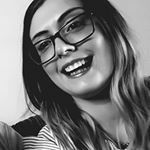 Ok your photos are gorgeous! I would totally love to check out The Page and the Child! I had no idea Oxford had so many writers! For my trip, I really hemmed and hawed about whether to go with Cambridge or Oxford- I am going with Cambridge because I was in contact with several historians there, but you are making me regret my choice haha. I love the stone used in Oxford building!! I’ve never visited Oxford proper if that makes sense! My dad worked away from home when I was a child so I visited the pub/guest house he lived in Monday to Friday back in 2006 after he died. 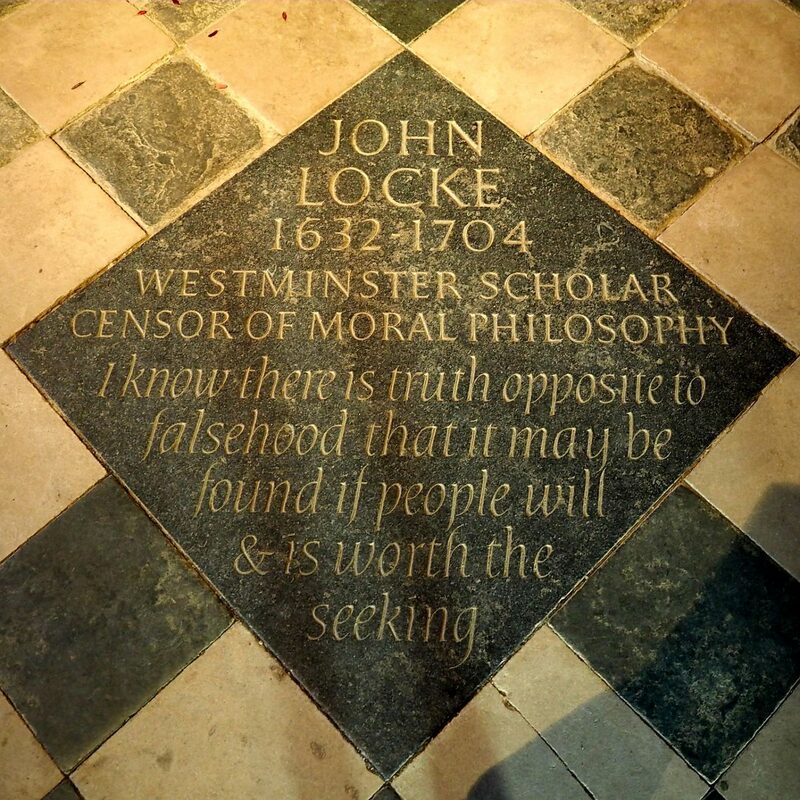 It was a sort of pilgrimage to visit the places he had walked. But I’ve never visited the exciting places you have photographed. You must go! 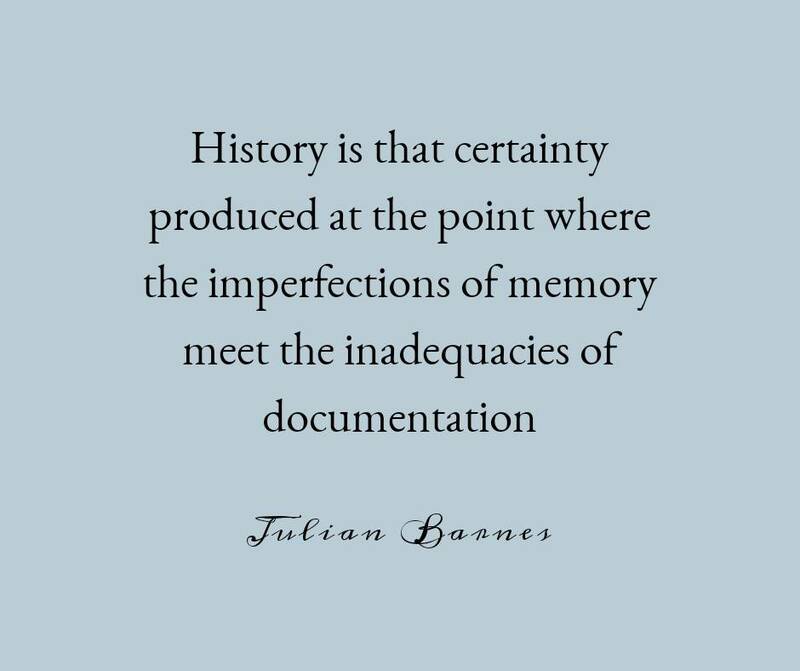 It is a history lover’s paradise!! !